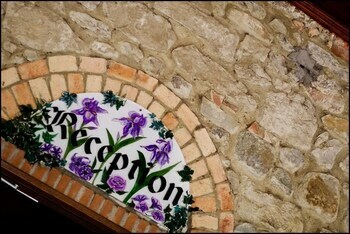 When you stay at Fattoria Belvedere in Montecatini Val di Cecina, you'll be 9 minutes by car from La Regola Azienda Vitivinicola. Featured amenities include a computer station, dry cleaning/laundry services, and a 24-hour front desk. For a surcharge, guests may use a roundtrip airport shuttle (available on request) and a train station pick-up service. When you stay at Cala Chiara B&B in Ortona, you'll be on the waterfront, within a 5-minute drive of Riccio Beach and Cantine Ciampoli. Free self parking is available onsite. A stay at A Spasso nel Tempo places you in the heart of San Gimignano, within a 15-minute walk of Collegiate Church of Santa Maria Assunta and Historical Torture Museum.